Click here to view the web site to learn more about this event. View the Online Entries and other registration lists. Email the director if you see any errors:rscanham4@outlook.com. Click the division code links below on the left to view the draws for a specific division in this Racquetball event. 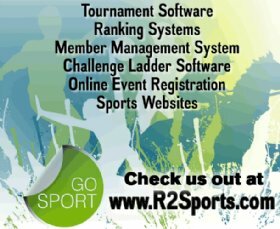 Copyright ©2013 USAR / R2Sports Racquetball Software All rights reserved.